Investigators conducting a literature review found that platelet-rich plasma is a successful treatment for various dermatologic conditions, including androgenetic alopecia (AGA), scars, nasolabial folds, and photoaging. 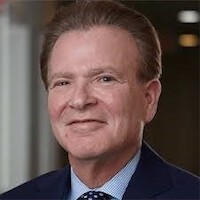 The research, which was presented at the 2019 Annual Meeting of the American Academy of Dermatology (AAD) in Washington, DC, was a meta-analysis of studies found in PubMed about the efficacy of treatment with platelet-rich plasma (PRP). “The anti-inflammatory and multi-factorial capabilities of PRP could be advantageous in the treatment of a wide array of dermatology-based applications,” wrote Jeffrey Rapaport, MD, FAAD, a board-certified dermatologist in private practice in New Jersey, and colleagues. Rapaport specifically addressed the potential for PRP to treat hair loss. The meta-analysis gathered a total of 58 studies that fit inclusion criteria. Of those, 23 examined androgenetic alopecia (AGA), and 3 covered alopecia areata (AA). There were also 8 acne studies, 14 facial skin studies, 1 facial burn study, and 9 facial procedure studies. No studies were found that dealt with cicatricial alopecia (CA). The investigators found that 3 sessions of platelet-rich plasma treatment spaced every 4 weeks successfully treated androgenetic alopecia compared to placebo, as measured by the change in hair density (hair/cm2). The mean difference in hair density was 25.61 (95% Confidence Interval, 4.45 to 46.77; P = .02). The study also found that 2 to 4 sessions of platelet-rich plasma treatment significantly improved scar severity when used in addition to aesthetic therapies including micro-needling and erbium fractional lasers. Platelet-rich plasma treatment was found to significantly improve the severity of nasolabial folds, signs of photoaging, and color homogeneity. Finally, adding platelet-rich plasma to lipofilling procedures significantly decreased the number of recovery days patients required. Still, while platelet-rich plasma is a promising treatment for various conditions, Rapaport stressed the need for certified dermatologists to determine which patients are good candidates to benefit from PRP treatment. The investigators also pointed to the need for further research on PRP therapy, particularly for acne scarring and hair loss. “With further investigation using randomized, controlled studies, a standardized PRP protocol for aesthetic conditions such as acne scarring and hair loss can be created,” they wrote. The abstract, “The Efficacy of Platelet-Rich Plasma (PRP) in Dermatology,” was presented as a poster at the AAD Annual Meeting on Friday, March 1, 2019.